The magical dream that every girl fantasises about is her wedding day and the beautifully eye catching gown that she will pick to wear, to say YES to the love of her life. Your body shape, hair type ad your imagination; everything plays a huge role in putting together the perfect gown for you. Thus, the decision can be very complicated. And let’s not forget the endless diversity we have in bridal wear these days; it is really overwhelming. With so many choices accessible at your right hand; which one is going to be the best that suits you perfectly? Sounds tough, right? But don’t worry as we have got your worries covered! If you haven’t picked up your perfect bridal dress till yet, then just don’t make the final move right now as we are bringing you the ultimate chance of meeting the Gems Bridal wear. On the 20th of April, at Inspired Island Events, Union Street, Ryde, we bring you the chance to get into a one-on-one conversation with the bridal experts themselves. They are one of the leading and well-known bridal wear suppliers on the Island and with an experience of over 20 years, they know everything that a bride to be, might have to ask. Having a handful of tips and advices can really help you make the best pick. Choosing a bridal gown is a one of the toughest decision and only a bride can understand the complexity of the situation. This is why; we provide you with an open invitation to come and meet the Gems Bridal Wear team and ask away anything that you wish to. Grab as many tips as you can to make sure that you pick the best dress for your big day. Don’t let a poor decision ruin the day for you! Also, Liz Earl, a great cosmetic company will also be there to be the perfect cherry on top of the cake for all the brides to be. You can get in a one-on-one conversation with them and grab all the beauty tips and tricks that you want to. Nothing stands in your way on the 20th April as you can bring in loads of questions and everything will be answered for sure. So take down your notes and make sure that you have all your confusions and worries erased on the 20th April with the help of the professionals and those who know best. To Talk all things Bridal! 4 most loved wedding themes. Wedding planning can be stressful. Every person wants the perfect wedding theme and decorations that can be admirable for all guests and memorable for the bride and groom. The more beautiful your wedding will be decorated, the more will you enjoy, and let us not forget the requirement for perfect photography shots! Your wedding decorations need to be perfect; it is your big day after all! But choosing out of the many themes can be confusing. A mixed up wedding theme might not be as attractive; that is why you need a professional event planner. Inspired Island Events knows precisely what you want. 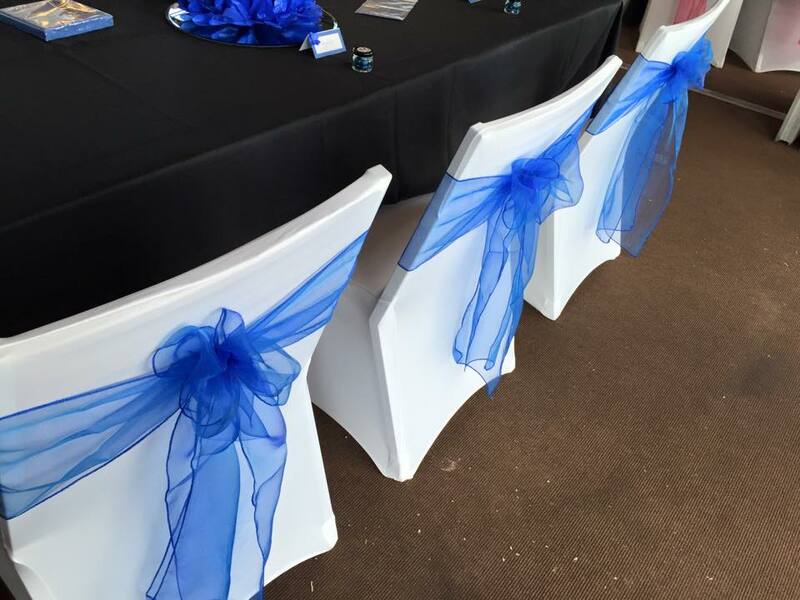 We will not only decorate your wedding but will turn a dream into reality. A wedding is a person's most important day in his\her life. You need a wedding theme that can be aesthetic and wholly admirable for anyone who visits your marriage ceremony. We have listed down four wedding themes that are most loved by couples which can help them transform their special day into a fairy-tale. Wedding themes with decorations relating to olden times can be entirely aesthetic. It will be an extraordinary and memorable experience for all, and personally, we love this style of decoration as well. It can be the perfect set up for an eye-pleasing wedding album as well. Moreover, the selection of flowers and vintage decorations we choose gives quite a remarkable complete effect in your themed wedding. Vintage weddings immensely depend on antique looking décor and furniture. That is why we hand pick each flower and every piece of cutlery for the perfect look of olden times. You will feel like stepping into decades-old Britain with typewriters and horse carriages. Any couple would love to celebrate their wedding in a right joyful evening in a time where music, wine, literature, and art was appreciated and celebrated to its fullest. Sunflowers and roses look very eye pleasing in a vintage wedding, you can tell us your preferences, and we can decorate as you like. With this, of course, we will add our mastery to enhance your ideas further and make your dream wedding into reality. For a perfect vintage wedding theme, we prefer the décor to be in outdoor areas. However, vintage themes can also be professionally decorated by us in all wedding venues too. The reception of your wedding ceremony can take place with withered old aesthetic doors and worn out wooden chairs with a hint of candles here and there. The candles make the decorations fit perfectly into the required theme and taking you decades back in time. For your last moment and exit, you can ride away in an old vintage car like a Volkswagen or an old Mercedes. For a contemporary wedding theme, there are no limits. You can personalize your own choices and tell us what exactly you require. Think of modern weddings with a serene backdrop or black and white interior. It can also include sleek furniture with cream coloured balloons and greenery. Green plants make the modern theme effect very attractive, and surprisingly it goes a lot with the elegant interior we choose. Special lighting effect in the evening adds colour and a beautiful look at the event. It goes with the colour scheme and adds an exciting look. Modern themes can also be thought of as clean lines and geometrical shapes with white curtains here and there. The most demanded and loved decoration item are small fairy lights that add give an extravagant wedding ceremony look. Modern wedding themes do not necessarily mean white and black colour schemes. Colourful or bold plans are also preferred when it comes to contemporary themes. A bohemian wedding theme looks very relaxed and carefree, but some people assume it is casual; however, it is nowhere near that. A bohemian wedding includes an exciting and eye-catching décor with Persian style carpets with colourful flowers and fruits like palm leaves, hibiscus flowers, pomegranates, etc. This thematic style has a lot of vibrant colours in it with seating cushions and dream catchers. A décor like this is more suitable in weddings arranged outdoors and looks aesthetically pleasing in the evening as the little lights and different candles illuminate the entire event with its charm. The bride and groom can sit on a lavishly decorated rug and cushions with large wine glasses in their hands to catch the perfect shot for such a memorable event. The hanging macramé decorations and oriental rugs are correctly placed at the altar, and the aisle as these places earn the most attention in the event. Bohemian weddings are an entertaining way of a marriage, and guests enjoy a different theme as well, making it very memorable and unique. Couples most love a traditional wedding. 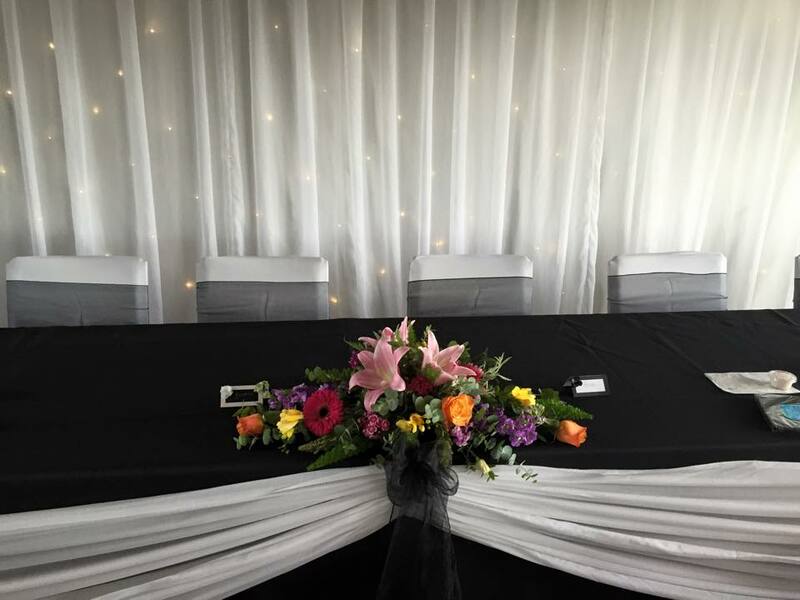 It consists of white colour schemes, many many flowers, and guests with black bow ties. This thematic style not only has flowers on the altar and aisle but also on the cake! White, pink and cream coloured roses are most used in this theme which makes it a completely traditional white wedding. The colour white symbolizes happiness, which is why people prefer white weddings over any other. Complete table settings that include wine glasses, cutlery, napkins, etc. are set up on each table on every seat, and the food is served to each guest on their respected tables rather like a buffet party. Everything is arranged formally and is taken care of with precision and a neat style. The exquisitely arranged head table, gorgeous flowers, posh seating arrangement and a full sit down dinner are few of the formalities arranged in this thematic style. White table cloths are laid over all the arranged tables with matching flower arrangements. The golden lights all flicker over the event and candles are decorated for a further complete look. The complete décor is made comfortable and cosy for all guests. This arrangement can be made in outdoor areas as well as inside venues. In Spring, our brand new, luxurious showroom and retail store will be opening on Union Street, Ryde. It has always been a dream of ours to open up our own retail shop where couples can drop in to purchase items as well as book appointments, and it's finally becoming a reality. We're re-decorating a lovely building and are excitedly planning how to use all the extra floor space we'll have. Watch this space for a moving in date! And if you book 3 or more centerpieces, we'll give you the 4th absolutely free. Need inspiration? Check out these photos of recent weddings we've been involved with. Photography credit to Jason Mark Harris and our very own Chris. 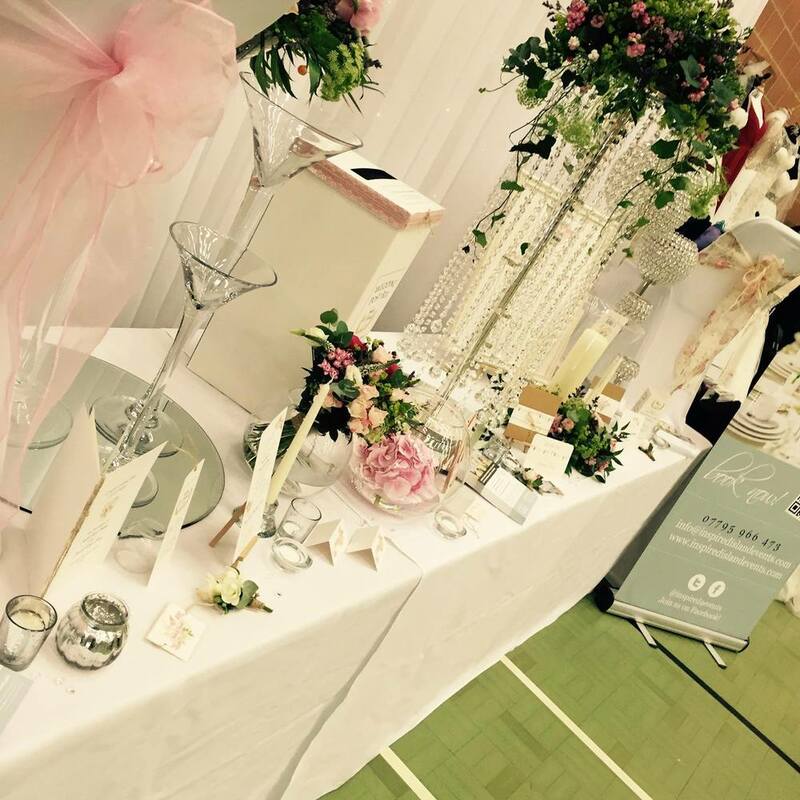 Inspired had a fab two weekends promoting our services at bridal fayres. 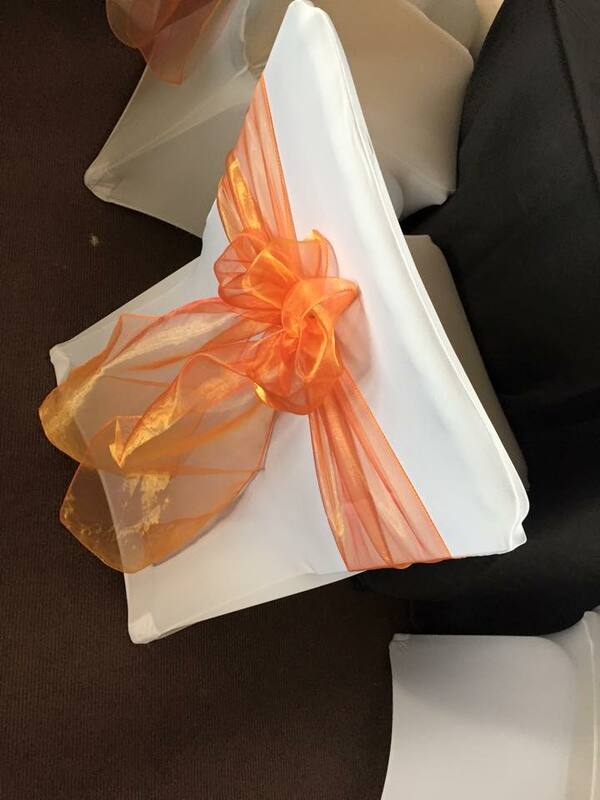 We went with a different theme to each so that prospective customers could see the huge variety of items we hold in stock, from chair covers and sashes, to wedding stationery, to floral arrangements and table decorations. The first one was at Medina with Wight Bridal and we showcased a classically glamorous theme and took all things beautiful. 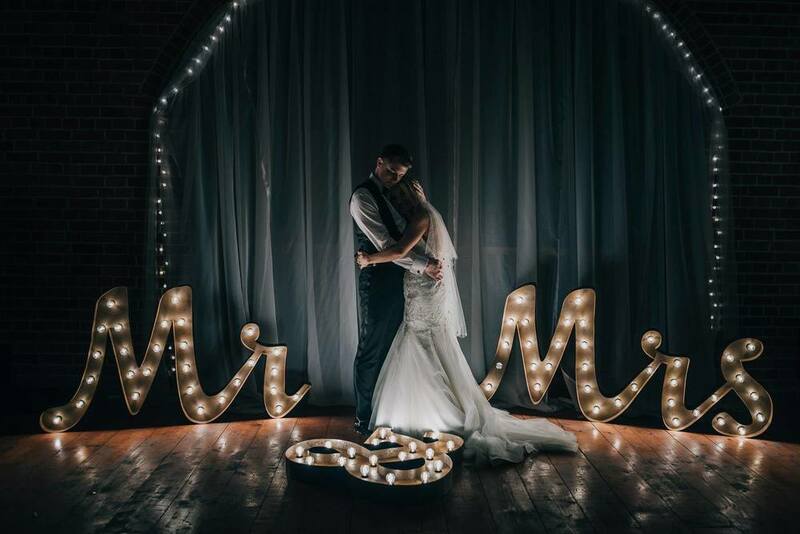 The show stopping Mr&Mrs sign certainly caught people's attention, it has over 50 light up bulbs! Next we went to Lakeside Park Hotel with Gem's bridal wear and went for a rustic/vintage theme complete with birdcages, wooden centerpieces and gorgeous floral sashes which will guarantee to make any chairs look extraordinary. We met lots of lovely newly engaged couples and we can't wait to start planing your perfect wedding with you. Our next showcase on the 25th of January, but if you want to come and meet us before just give us a ring on 01983 407264 or email us at info@inspiredislandevents.com. Huge thanks to Karen and the Wight Bridal team and also Gem and the Gem's bridal wear team for organising the fayres. Check out some of our recent weddings we have been lucky enough to be involved with. 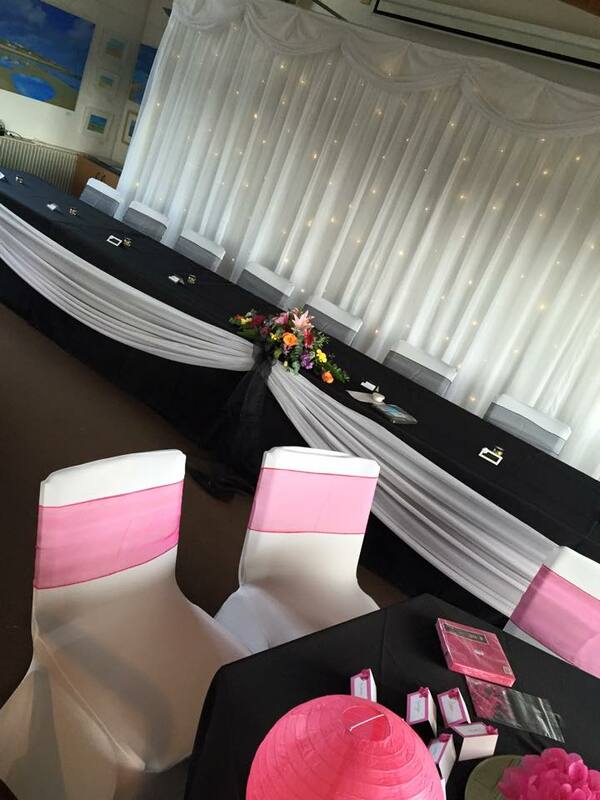 If you would like to come and see us and talk about your event contact us on 01983 407 264 to arrange your appointment.